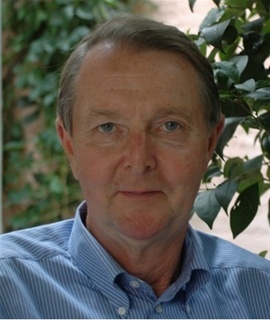 Case: Henri was born on December 3, 1948, in Annecy, Haute-Savoie in France. He was the son of Rachel, an unmarried Jewish mother, and in the aftermath of the 2nd World War, it was decided to give up the son for adoption. In 1951, Henri came to his new parents in Norway and subsequently ended up living in Denmark. For many years, Henri had tried to locate his biological mother and although her maiden name was known this had not been successful. After a global research effort and exploring many different leads, we in 2014 managed to locate Rachel to an address in New Your, USA, and contact was established. This led to a reunion meeting in 2015 where Rachel and Henri met for the first time since 1949 and established permanent contact. Henri recommends: "I give Per Andersen my warmest recommendations. After having searched for more than 25 years after a person who could be anywhere in the world, I came in contact with Per. Fast and professionally he initiated the search and within some months he established the positive result. Per is a warm and understanding person who would do anything to solve the case he works on." Case: Maria had never known or met her biological father who died in 1993. 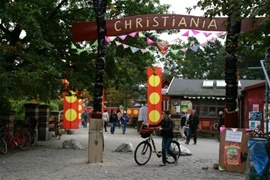 She knew that he had been living in Christiania and she knew his name. But so far nobody had been able to help her locating the family of her father. We managed to find the family of her father so that Maria could contact them and learn more about her biological father. Case: Steen had very little knowledge about his biological father. From his mother he knew a few facts such as the name of his father (a very common name) and that his father was born in Grenaa in 1933. Using this information and additional leads it was possible to identify Steen’s father, who was still alive and living in a nursing home in Frederiksberg. A complete court file with the paternity case from the birth of Steen in 1957 was retrieved and it revealed further interesting details. 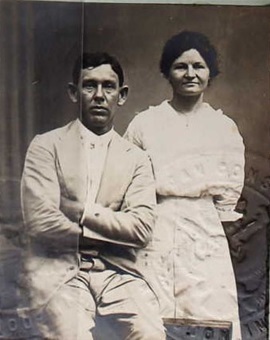 Besides identifying Steen’s father, the ancestors of his mother were described including two unknown fathers also identified. Steen recommends: "Thank you for the document that is very interesting reading about the family. Many thanks for the research – I am “a bit” impressed by the work and results (being from Jutland, known for understating). It has been through your extensive work that we have received answers to many of our family questions." Case: Jens and his family had no knowledge about the identity of his father’s father. His father was born in Aarhus of an unmarried mother and he was then adopted away. Some had the idea that the grandfather was French, but in reality they didn’t have any idea. 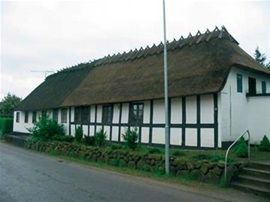 Through a paternity file it was possible to determine the identify of Jens’ grandfather, Hans Otto, from his birth in Odense in 1900 to his death on Zealand in 1964. 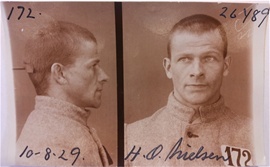 Hans Otto had a very eventful life including two periods in the French Foreign Legion, had a shot wound in the foot, been involved in smuggling and been in prison for issuing false checks – and he had been living many different locations in Denmark. Jens recommends Per Andersen: "It is an incredible document you have written. Your energy, structure and persistency is significant. Very exiting. My sister and I knew that we had a gap in our family history, but not until you uncovered it we realized how important this knowledge is to us. And what a history you have discovered. We are very thankful for this." Case: Rosa and her father Aage never had any contact to her grandfather. Aage’s had been born by young parents in a short marriage. After his parents divorced, there had been no more contact to the father, and they did not know what had happened to him. Did he remarry? Did he have more children? Where had he lived and where did he die? It was possible to find answers to all these questions. It turned out that he had moved to Funen, had remarried but without any children in the new marriage. 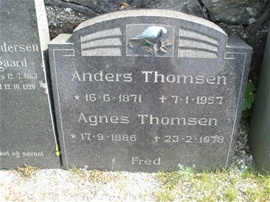 He had died in 1973 in an old house on Funen. We managed, however, to find relatives to Aage’s father who Rosa were able to visit. Here she for the first time in her life was able to see pictures of her grandfather. 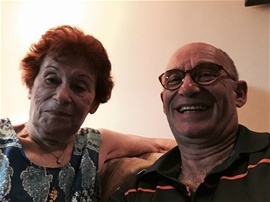 Case story: Peter’s mother was sent from Denmark to the US just before World War II – to safety at her family there. However, she was already pregnant with a young Danish boy and Peter, the child born in the US, was adopted away. Decades later, Peter started looking for his biological parents. After finding the identity of his deceased mother in the US, Peter turned his attention to Denmark and his unknown father. Peter did not have the father’s name, only circumstantial information such as profession and family composition. With little data to go on it took more than 6 months of exciting research using a number of channels and networks to finally identify the deceased father and the family that Peter today has in Denmark. An article about this case has been published: “When Peter Found his Family in Denmark”, Slægt & Data, No. 2, June 2011. Case: Early on Birgitte from Denmark lost contact to her father. When she was a small child, her parents were divorced after a brief marriage in England. Her father was English, and as a starting point Birgitte only had his name and birth date. The challenge was to establish what had happened to her father, what his family background was and if there were living relatives to her. 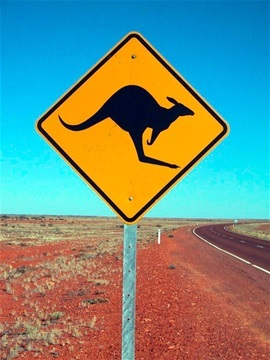 A search resulted in not only locating Birgitte’s father, but also 3 half-sisters and 3 nephews/nieces – all living in Australia today. Birgitte recommends Per Andersen: “I am really pleased with the results of the search. I have wondered for a long time about my father and what happened to him, but I didn’t think it was possible to find him. Per is declared the family hero – both in Australia and at my house”. Case: Ida only knew that her great grandmother had died when her grandfather was a child. Until one day where an old family photo fell out of its frame and she noticed a note on the back of the photo. Here it was written that her great grandmother emigrated to the US where she had married and had two girls. This information immediately raised some questions: Why had she left Denmark and her boy? What could be found about her past? What had happened to her and her family in America? And are there descendants today? The Danish and American history of Ida’s great grandmother was researched and revealed and the project resulted in an extensive description of this emigrants life and family in the US. Ida about her cooperation with Per Andersen: It was a great pleasure and experience to have Per working on the project, “On the trace of great grandmother”. Incredible so much we were able to find – much more than I ever had dreamed of. Following great grandmothers travel emigration to the US has been one of the most exiting “travels” in my life and I am exceedingly happy and grateful for the result. Many thanks to Per for your enthusiasm and dedication.